I’m welcoming J. A. Bennett today to tell you about a couple amazing things that are happening in conjunction with NaNo. 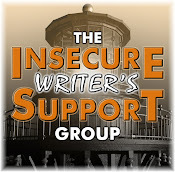 I’ve participated in NaNo and visited the site often, (I wrote CassaFire during NaNo 2010), but I had no idea what the organization was doing for the writing community. I first heard about NaNo WriMo three years ago shortly after I started blogging. I thought people were nuts for even attempting to write 50k in a month. Yet, I couldn’t pass up the chance to try it out for myself. Since then, I’ve done NaNo (including camp NaNo) 4 times--this November will make 5. Because of this, I’ve spent a considerable about of time on NaNoWriMo.org and they’re doing some amazing stuff for people. I have a 14 yr old cousin who went to LTUE last year because NaNo came to his school, and he decided he really liked writing. If that isn’t awesome, I don’t know what is. In these past three years I’ve felt awful for not giving back when NaNo has been doing so much for writers everywhere. That’s why I decided to write an anthology with a few awesome friends and donate all the proceeds to NaNoWriMo. 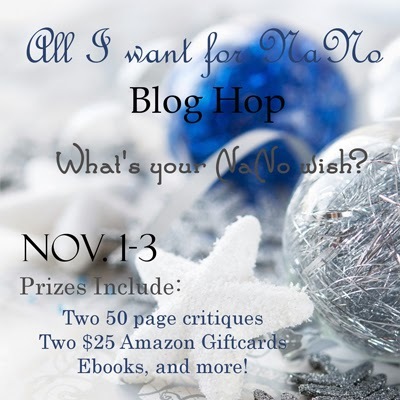 Since the stories are about Christmas, we’re doing a bloghop entitled “All I Want for NaNo”. The bloghop and book release are taking place on November 1st. Please join us! On November 1st post what you want for you NaNo and put a buy link to The Spirit of Christmas Anthology, as well as the blog hop code in your post. Get as creative as you like, pictures--flash fiction--video, think outside the box. Get all the information and the code HERE at JA’s blog. Congratulations to the contributing authors and good luck to all NaNo participants! 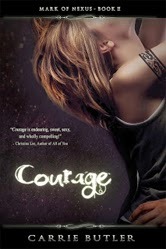 Available now – Courage by Carrie Butler! Chicken Soup for the Soul - It's Christmas was just released and includes "The Treasure Hunt" by LD Masterson. What Constitutes Quality Blog Content and What About Hits? Monday Arlee Bird tossed out a post about being respected as a blogger, most viewed posts, and what makes a post go viral. The comments were just as interesting and went off in several new directions. It sparked some thoughts in me (which can be dangerous) and I thought I’d continue a few idea streams here. When it comes to page views and viral posts, I’ve blogged long enough that I know what topics are going to generate the most attention. (I know which ones are likely to kick my comment count over two hundred as well.) However, when it comes to page views and hits – I don’t really care! That’s why I don’t have a stat counter. They aren’t accurate anyway. And what does an extra five thousand views really do for me? I don’t get new followers or new people commenting, nor does it do anything for my book sales. Blogging is about community and friends – you guys – not about racking up the page views anyway. Another aspect discussed was what makes for valuable blog content. Is it information? Controversy? Thoughtful, reaction-inducing posts? I guess it all depends on what you are looking for in a blog and what your goals are with your own. As you know, I post a variety. My bio on the left states my interests up front, and it’s those things I usually discuss. I feature a variety of things, just so there is something for everyone. (If you come here and can’t find something on which to comment, then I am at a total loss.) It’s rarely anything like this or something that would stir up controversy. This blog is about fun. As it reflects my books and my writing, as I write light space opera, it’s a good fit. Are you participating in NaNo this year? (Did you sing the song for JA?) Stoked about the new books? Get any of the trivia correct? And are you happy with your blog? What content matters to you? Do you care about page views? What matters most to you when it comes to blogging? Nope, no NaNo for me, although I'm totally cheering for all involved. As to my blog - of course, it would be awesome to have more followers and popularity and views, but honestly, I'm already feeling guilty that I can't keep up with everyone. And I'm scared that bigger might make it too artificial. Loved the 12 Days of NanNo, great to sing along to. I notice more new books showing interest on Blogsphere. It's wonderful to see how motivated and talented many bloggers are. I will never in a million years reach viral comments, am very satisfied with the few I do have regulary and wish to thank them all. Blogging content... phew... an issue close to my heart... something I am working to "control." No Nano for me... nope, but I wish all participants a fantastic experience. Hi me again I too have my own version of The 12 Days of Christmas......unfortunately I wouldn't be allowed to print it. I do like your take on quality content and what the blogsphere is all about. T, JA will be happy! I doubt you'd become artificial, but you would become busier. Mark, you need to have your priorities! That run is December 8 or something like that, isn't it? Lynda, I don't have one ready either. Plus I'll be on vacation. Well, I'm hoping to participate in NaNo, but my prep isn't going very well at all, so who knows what will actually happen. I did sing the song though. I'm a little curious about the climax that takes place in a tree, but I think that the Spirit of Christmas anthology to donate to NaNoWriMo is a great idea! This will hopefully be the first year I participate. I value comments over anything. Just because I have a follower, doesn't mean they're reading the posts I publish. 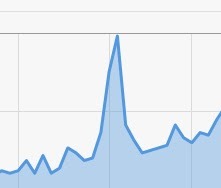 And just because I somehow get a sudden influx of pageviews doesn't mean it's not just a bunch of spam-bots... I KNOW it's a bunch of spam-bots, because the last time my pageviews shot up like that I was inundated with dodgy comments that blogger asked me to moderate before publishing. I post what I feel like posting in the hopes of sharing experiences and starting a bit of a discussion with whoever does care to comment. I think as long as it creates some worthwhile discussion, it's good enough for an amateur's blog. Cool idea...giving back to NaNo. No, I don't have the time to follow my stats. I've no desire to be controversial, either, since that would turn off my reader base. I like your blog, Alex, because it's a fun, friendly, supportive escape. I've never done Nano - for several reasons. I don't need the motivation and it never seems to fall at a time when I'm just starting a novel. I started one a few weeks ago and wasn't willing to wait. :) But I know other writers love it and count on it. Alex I agree with you 100%. Blogging really is about community and friends. It's a family-type relationship in many ways isn't it? Yes, I'm participating in NaNo this year although I am worried about putting my current WIP aside; I'm already falling behind on my goal. I like hearing stories of ways people give back to NaNoWriMo.org. I donate monetarily, but any way of giving back to them is awesome. My blog varies and grows with me. I'm cool with this because I'm still new to the game. My 13 year old daughter has signed up for NaNo. She wants to be an author, I figure it's a great place for her to be. I am not sure about me. I did sing JA's song, couldn't help it. I never thought of kittens as a cop out to get views, actually I am so sick of seeing cats that I generally ignore those posts. Just curious, do you think all photo posts are a cop out? I now when I do photo posts, they still take a while to think through as I have way fewer words to get across what I want to say. Finally, yes, I blog for friendship and fun. Yes I did sing it. :p I am planning on NaNoWriMo. I haven't participated in NaNo yet, I don't know if I could dedicate the time at this moment in my life, but I would like to give it a go in the future. I will never see myself receiving comments on my blog of the number you receive, but I do appreciate every comment made by my followers and would just like to thank each and everyone of them. It is great that people take the time to visit. I agree that content matters most but I do look at page views because I know not everyone comes AND comments. But we do love comments, don't we? I agree with you about blogging and community. I enjoy writing my blog, and I hope others can tell that from the posts and pics. I also hope people get something from it, whether it's a writing tip, a book recommendation, a boost of motivation or a laugh. I'd rather be beaten to death with a wet noodle than get involved with that Mork from Ork Challenge. NaNo way, thank you very much. However, I do understand how much it can mean to you and those involved with such a community spirit. All the best, J.A. And Lee's posting. Well, I took it all on board. I also know that in many cases, total followers has nothing to do with a blog's popularity. I know that you, Alex, dedicate a lot of time and effort being of support and bringing awareness of others. This is most respectful and the respect is reciprocated. I'm very happy where I am with my blog. Always have been. I don't care about page views or the amount of followers I have. I'm blessed with a lot of interaction, nonetheless. My blog, in its own way, is about interaction, pro-action and hopefully being of help to others and thus, myself. Must go now and slap up a photo of a cat. Um no! I've never done NaNoWriMo before but I'm considering it this year. I'm just finishing up my WIP and will do a short story before the end of the month, so the decks will be clear, so to speak. As for blogging, my most-read posts are the weird ones, like the cowboys shooting down the pterodactyl or the picture of the guy who got scalped and lived. My more serious history posts do OK, but don't get nearly as many hits as the oddities. I agree that blogging is about the community and friendships. So I do focus on comments too. But I also look at page views because some people will read but not comment on the post. Our posts tend to be informative so people might read them and not comment. I know that's especially true of our agent spotlights that can get 500-700 page views. And I usually get several hundred page views for my posts where people don't comment. Love the 12 Days of NaNo. And Jennie rocks. "Blogging is about community and friends" Yes. I did Nano one year and wrote (I think) one of my best works. But because I wrote it so fast, it's going to take a lot of revision, and I hate revision, so I never got around to it. So i was disillusioned to the exercise. Like you, I didn't know how much they give back. I need to contribute. My interests are wide and varied and my blog tends to be that way. I just blog about whatever seems blog-worthy at the moment. I feel a kinship to many of my fellow bloggers. I think that's what I like the most about it. I didn't know there was a maximum comments allowed. I guess that's because I've never come close to it on my blog. Wish I was participating in NaNo this year. Too much going on, finishing up my MG to get to my agent, short story for an anthology, and the fam. All my best to those hammering out new stories, though. Blogging? What's most important to me? Hmm... I guess I'd say making an impact to help others. Page views are nice and I'd be lying if I said that followers weren't important to me because they are my oxygen for continuing to blog. But making a difference in someone else's life - even if I never know about it - is what's most important to me. Bonnee, that's why I like comments more as well. Keith, it sure is. And family matters more. Christine, just enjoy the ride and the growth. Rhonda, no I don't. You always talk about each photo, and they are one you've taken. They take time to prepare and I appreciate that. Gary, Penny would not be happy with a cat photo! You have a lot of interaction on your blog and you post from the heart. That matters most. Sean, sometimes you can't predict it, right? And that's cool for your site, Natalie - it's set up differently. I'm sure a lot of people read about the agents without commenting. Stina, I'm a guy - my mind went there as well. And I've never come close to the maximum either. I didn't know the page view counts etc. were inaccurate. On my own blog it has changed considerably. So I think I will delete it. Thanks Alex. As for blog content, I write what is happening at the time in my life and as I write more or less daily maybe my content isn't as good as it might be. However, I would hate to have as many comments as you do, I could never keep up. I think getting over twenty comments in a day on my blog is a big deal so 5000 a bit of a long shot. I too am way more interested in my readers and community than stats. Sang the song in my head but hey it got a choir section that sings way better than me. Hi J.A.!! So cool you got a feature today and Nanowrimo has done a lot for authors so this anthology is a wonderful idea. Never won a Nano but still take part because I love the challenge and community. Congrats Carrie, E.J. and LD on your books and accepted stories. I give up NaNo about a week in. lol I'm always gearing up for Christmas by then that I don't have the will to focus. 12 NaNo wishes were cute. I blog about what I'm comfortable with and I avoid the big controversies. I'd rather not be famous in that way. I sang the song and this november I will be doing the NaNo dance. I joined two years ago and that is where Secrets of the ash tree got started. I agree with your comments about blogging and what makes for a good blog. I wish that I had the same amount of time that you do! As it is, I do the best I can with the time I have, and no..stats are not important, but my curiousity leads me to look at them once and awhile anyways. And I promise never to cop out on a post and slap a kitten photo up just to get hits. I enjoyed reading your thoughts on content, Alex. Never done NaNo. Never will. I like to take things slow when I write. But I do make a good cheerleader for those who choose to do it. Going to be singing the Nano song all day long even though I won't do it because I'm in the middle of writing my new book. As for what makes a good blog, I find the ones that are just snapshots of life always have a lot of traffic, but, like you, I rarely track the traffic. I will try to do NaNo again this year, but I have a big Optometry Exam I have to cram for and take at the end of the month. So it will be the ultimate challenge. Read Arlee's post, and it was interesting thinking about a few of my posts that went nuts. One was a post I did minutes after Shawn Hornbeck was found after being abducted several years before. My blog BLEW UP. Over 50,000 hits in one day. I have great respect for everyone who does NaNo, whether they finish or not. I cannot write that many words in 6 months, much less one month. Hardly ever check my stats. It's always interesting when I do. I'm loving all of the Christmas stuff in this post - I'm going to have to get myself a copy of that anthology! I have to agree with you about blogging stats, I don't follow mine at all. I care more about the community than how many comments I get on a post. I don't blog for the pageviews - I blog for me, and anyone who wants to read my posts. I can't wait for NaNo on the first, although I'm a little behind on my planning! Brian, comments matter more to me. Pat, should I be afraid? Jo, the blessing can be the curse. Sheena-kay, might be your year to win. Julie, I'll try to be funnier. Suze, glad I could make you laugh! Laura, you'll be all right. there are probably a million 'guidelines' a blogger cam follow, but I think what constitutes a "quality" blog content is really too hard to describe. It gets into the whole area of aesthetics, which has a lot of high-brow philosophical concepts, but ultimately boils down to "stuff I like". And that's a vaporous concept in itself -- an individual might love stories about robots, but after reading twenty of them in a row, might cringe at the thought of just one more robot. But I like your blog. I think it does have "quality". It offers a lot of useful information, given with a fun, not-taking-myself-too-seriously attitude, written by a talented guy. Who plays guitar and writes science-fiction -- who doesn't love that??? Alex, I so agree with you about page views. I never check that. I really haven't paid attention to building my blog readership, except when I participate in a blog hop. I love what you do on your blog because it's genuine and honest. 5000 comments is amazing. It must have been a very controversial topic. Thanks for putting all that work in Alex. We appreciate it. Have an awesome Wednesday. Congrats, EJ, Carrie and LD Masterson! I don't worry much about blog hits and pageviews - I don't blog often enough (and I'm not counting cover reveals, book blitz - because those come ready for me to post). I think I'm one of the very few who don't do NaNo. Everyone I know does and talks about it constantly. Before NaNo even starts, I'm ready for it to be over. I tried to plot a story one year to give it a shot and it just didn't happen. It's not something that motivates me to write. Whoa, I've been away for a couple weeks and there's. so. much. great. news! Great to see all the excitement around this year's NaNo too. Regarding the blog content/views/etc. I agree in part with what you say, but I think you're missing something in the other part about racking up page views in big numbers. In some ways it's similar to the debate about follower numbers. I won't go into the points where I disagree since I have another post or two that will be addressing these aspects of blogging and marketing. Check with me on Friday for my next round of thoughts on this topic. Congrats to EJ, Carrie, and LD. Good stuff. I'm not completely happy with my blog, but I'm working on it. I glance at stats from time to time out of curiosity, but I don't dwell on it. I participated in NaNoWriMo twice and "won" each time, but I still haven't finished those books. I don't think NaNoWriMo really works for me, and I'm in the middle of revisions anyway, so I'm not ready for a new project. Best of luck to everyone who's participating, though! As to blogs, mine started out as a way to keep in touch with friends and now focuses more on writing. It would be nice to include more personal posts, but there's not much to post about these days. (And my best pictures go on Facebook now.) I can't imagine going through 5000 comments on a single post! Yes, Nano! I'm doing it, yessirree... even though just thinking about all that work makes me want to barf! Your anthology is a stellar idea! Best of luck! The Nano hop is such a great idea. I've already signed up. I love Nano. What is the site you visited with all those followers and comments? Crazy. I'm doing NaNo! I have to get out of this 2-month no-writing slump. I'll be participating in NaNo this year even though I don't have much time next month. I just can't resist! Even half the word count would be fantastic. I'm pleased with my blog the way it is right now. The most popular posts are odd. Some nonsense stuff and then guest posts. I hope my posts help and entertain. Thanks so much for the shout out, Alex. And congratulations to E.J. and Carrie. Loved the NaNo song! And I'm participating again this year. For the last three years, I've started books during November, but not as part of NaNo. It was part of my inspiration for beginning then, but it wasn't at the first of the month, and I didn't measure my progress through their website. 50K is a drop in the bucket for all of those books, so there was no chance I'd be done in only a month. There's no way I'll be done with my current WIP by the end of the month, so I don't foresee starting anything new during November this year. As for my blog, I like kicking back with other writers, and helping new writers to find their feet in the writing gig. Seems to work for me. Lee, great post. It's got me thinking. I love my blogger friends, I love the community, but I have to admit that it's hard work trying to write a post that appeals to others, let alone me. In fact, it's getting harder. May be age, or burnout, I'm not sure, but I'm really really hoping this feeling, whatever it means passes. Your post was very thoughtful. And so true. I'd like to try NaNo one year, but right now my work schedule is too hectic. I have great respect for everyone doing it; it would be such an accomplishment to end the month with 50K words. Congrats to Carrie for her newest release! I've never tried NaNo. And since I'm so bogged down with my wip and editing, it seems impossible at this time. But I will check it out this November. I'm fairly new to blogging and discovered I could check on my hits. I like when people join my blog. I'm not a great blogger, I tend to keep posts short and sweet. Yeah, a picture here and there to fill the space. I'm learning each day. Congrats to all the people with book releases! I'm wimping out on Nano this year - good luck to all who're doing it though. I think it's well worth doing at least once. I'm more interested in people commenting on my blog and coming back another time than the number of views, as I don't think that figure means much. Yup,doing NaNo and I just may participate in the bloghop. Blog content is the most important. If I do "slap" up photo, it's one I've taken and want to share. As always, I'm very excited for my fellow authors with new releases. Congratulations! Wow, 5000 comments a day? That must be the hell of a blog. Can I please have the link to visit? Yep, I'm doing NaNo this year. No time to do the blog hop though. I just read the first of the E.J. 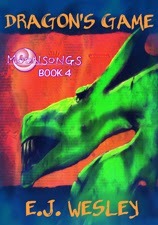 Moonsong stories and liked it a lot. E.J. 's writing is really good. Popped over to amazon to buy the discounted anthology so I could read 2 and 3 right away. Good luck to everyone participating in NaNo! I wish that I had the discipline for it. Great quotes Alex! Congrats to all the authors! Best of luck to JA and everyone else doing NaNo. I'll be writing, but not doing NaNo. I prefer writing a slower, more carefully crafted first draft and having less work in the revisioning. Congrats to EJ, LD, and Carrie, and whoever I missed. Woot on all that work coming to fruition. Blogs should be an extension of ourselves. I'm not into controversy either. I don't think readers read blogs. I've had no indication that my uber fans read it. They might check my site after I send the newsletter giving an approximate release date, but they don't read the blog. I do what makes me happy. 5000 comments is just crazy. CRAZY! Chris, appreciate that! And yes, the 'stuff I like' theory I buy. Maurice, it really wasn't controversial, which was even more odd. Patricia, but good that you know it doesn't work for you. Lee, what am I missing? Again, all depends on why one blogs. Christine, your blog is perfect the way it is! Carrie-Anne, you blow everyone else out of the water. Tina, it's the friendships that matter most anyway. Joylene, you have to appeal to you first. Angela, if I only remembered what it was, I'd share it! Mary, and that's the best way to blog. MJ, and on days I don't have anything of value, I don't post either. You get the full Ninja or nothing! What matters to me is posting interesting content. I think that comments are a good reflection of who is writing and what people are thinking. I do become disappointed if I write something that has taken a lot of thought and very few people comment. However, that is how it goes. Sometimes I post something that isn't all that deep and gets more comments. I would love to get 20 comments consistently on each post. I don't think that is an unrealistic goal. Not happening now, so it is something for which to strive. Thank you for all you do with your blog. You must know that you are doing something right. Your followers "tell" you each time they comment. We appreciate you!!! The thing for me with blogging, the thing that bothers me, is when I spend a lot of time working on something that's a quality post. Good writing. Good thoughts. Good ideas. Whatever. And it generates low comments. Then I post something that's just sort of fun and throwaway and my comments are double or triple what they normally are. That contradiction gives me those, "Why do I bother?" thoughts. Lots of great books out there by our authors. Wishing Jennie and the hop lots of success. The ghost of Hemingway and I are not NaNo fans. He wrote why the other day on my blog. As for quality content, I try to write as if a hurting soul was reading my posts. With that mind-set, I think I don't hurt at least! Yes, visitor statistics are unreliable by visits spam inflate but are fictitious, never have occurred! Wahoo for E.J. and Carrie! Can't wait to read both. I tried NaNo a few years back, but it definitely wasn't a good fit. If I wasn't a home schooling mom, it might have worked out. Alas, it was TOO MUCH. So, while I love and support everyone else in it, it's good to know your limits. As I say pretty much every year. Someday! No I'm not doing NaNo, I simply wouldn't be able to donate the time to it. Wishing all who are the best of luck with the challenge though. Agree with the many comments here, blogging is for interaction, support, friendship not about clicks! Very interesting words on the blogging content thing. As for nano...I've actually never tried it. Your blog has great content, Alex. Appreciate all the work you put into it. No NaNo for me, but I was singing. A blog is supposed to be interactive. Anyone who is that focused on page views and hits needs to have a website, not a blog. You always post interesting stuff. No NaNo here. Not to sound snobby, but we've never had a problem churning out books quickly. A great motivator for some, but not needed for us. As for your thoughts on Arlee's entry, we couldn't agree with you more. This is also why we don't have a pageview counter. As mentioned on Arlee's blog (and probably the last time it'll be mentioned since we usually don't talk pageviews) we had our Amanda Bynes post reach 180,000+ views. Did it increase our regular readers, or increase our book sales, etc? Not in the slightest. It was just a bunch of people who got a quick laugh and left. We don't really care about that, so going viral only counts if those people stick around. If they don't, then it's just empty calories that really aren't even worth bragging about. Blogging has to be fun for me to continue with it! LOL... no kitten pics please! Wow 2-3 hours huh? takes me an hour usually. I'm with you tho--it's about community, and not controversy, altho that's ok too from time to time. No Nano for me this year. Been there, done that. 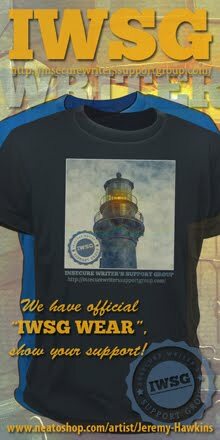 Got the tee shirt. Congrats to EJ and Carrie! And I've seen your comments pop up a few times on blog today Alex. lol Thanks! J.A I love what you shared-so fun! Congrats to EJ and Carrie!! Now I have that song stuck in my head... lol! I'm still on the fence about NaNo. I've participated a couple times and did very well, but things are a bit scrambled around here, still. Ah yes! I love posting what is true to me and not to the norm. As I can tell you do to!!! Robin, thank you. And not unrealistic at all. Just keep aiming for that. Andrew, as you'll see from the comments, a lot of people just want fun. That's why I rarely post anything deep. Leovi, spam can change those numbers. Mark, let me know when you find it. Brandon and Bryan, you hit it on the head!! Agree completely. Even if you guys are snobs. PK, I like your version of controversy though. Ella, I saw it for a moment! I post the same content on my blogger and on my tumblr. Posts occasionally get big responses on both, but a subject that does well on one site rarely does well on the other. Even with interests as narrow as mine, they type of audience you have access to makes a big difference. Are silly Halloween questions considered 'quality' blogging? Don't really care, I do it for fun, I do it for others, and I do it to share. I'm not doing NaNo. I've had too much stress lately and can't go there. Love all the books you featured, Sang along with JA Garland ( I did try to resist) and can't believe one blog post could get 5000 comments. Whoa. I don't think I'll be participating this year--I'm writing chapter books, which are about 40 pages!!! Writing one of those in a month isn't so difficult. So in November, I'll probably be writing 2-3 books...but they still won't be as long as some of the books you guys are writing. Moody, that's interesting that the response is different. Yolanda, your Halloween posts have been great. Brinda, I know - whoa! JA--I belong to a very cool writing group and I watched a couple of years while they'd madly participate. Then it was noticed I wasn't, lol! They browbeat, Um, I mean encouraged me to join them. I've done a two or three times. It's a good idea and yes, I get a lot written since I tend to drop kick my inn editor far away. I'm not sure about this year. I have several things I could do just not sure about my time... What a great idea the anthology is! I do donate to NaNo. Like the story premise and cover of Courage. Yay to LD Masterson on Chicken soup Christmas story release.Pretty cool. NaNo has been good to me, but I haven't been able to make the 50k words in several years. It's still helpful though when I want to get some work done. As to content, I like giving people useful information and that's mostly the stuff I've picked up on writing. I've realized that those get the most hits. Good info beats sensationalism any day. Good luck to those with new releases! Congrats to Carrie, EJ, and LD... All fine authors that I am proud to call my friends! 5000 comments a day!!!!!!!!!!!!! It took me over a year to get that many.... WHOA!!!!! 2. I don't care about page views, either. I'd rather have a conversation with a dozen people than have a thousand people pass through. P.S. Thanks to everyone for the congratulations! To me, NaNo is like cooling dinner, but milling the flour, butchering the meat, and picking the veggies first. Why torture yourself? So nope, I don't do NaNo. I write when I want and edit the heck out of it as I go. I also take unscheduled breaks when I'm fed up, and NEVER RUSH TO MEET DEADLINES!! It's a pirate's life for me -- Arr! When you said "light space opera" I pictured Gilbert and Sullivan on a UFO, but I guess that would be space light opera! Personally, I think NaNo is much ado about nothing. If you're gonna write, devoting a month to it is meaningless. If you're already writing, devoting a month to it is meaningless. As for blogging, early page views used to matter to me. But as the years progressed and spammers hit my blog with more frequency than I care to admit, I would take some of those spam inflated count posts down to clamp down on the page views. I no longer allow people to comment anonymously, which has eliminated about 98% of my spam page views, and now I basically pay attention to what my subscriber feed is for readership. Sia, glad you finally succumbed to the pressure. Carrie, you're welcome, and I completely agree! Wow, great post! I guess I should pay more attention to what I post on my blog. Right now, I have no real direction. I simply use my blog as a kind of virtual stump to stand upon and spout my rants, achievements, and conspiracy theories to friends and strangers. I am doing NaNoWriMo for the first time this year! I remember when the authors from "The Spirit of Christmas" were asking people on Facebook to choose their favorite book cover for the anthology (at least, I think it's the same book and authors!). They've got a very cool blog hop idea. If you're happy and you know it write a blog! I failed miserably at NaNo. I have no discipline and November is like my busiest month ever for stuff I didn't even know about until I was trying to write. I did sing the 12 days song! It's cute. I don't care much about page views but I wish I wrote more blog posts. I wish I was a better commenter on other blogs. I find your posts funny, charming, informative, giving and thought provoking. It's why I keep coming back. Now...that tree has to be around here somewhere. Hi Cap'n! Comment #112 here. Not bad, Dude. I am not doing NANO, I am now singing that darn song, and enjoyed the post on quality blog content. Thanks for stopping by the nut-tree earlier. My Mid-Life-Crisis has ebbed, and I am getting back in Ninja-form. I'm so happy for EJ, Carrie, and LD! So much great news this month. Love the bloghop, I'm still trying to decide whether to do NaNo this year or not. Didn't know that they did so much behind the scenes but that's awesome. I'm not quite ready to commit to NaNo right now, but it is a definite goal of mine for the future!! I don't check out the blog facts, maybe I should to see what posts meant the most to readers. I don't think I will try NaNo again. I've failed enough times to know it's not my cup of tea. And um, confining my comments to just a single topic on your blog is what I find difficult! I love NaNo. Love it. And Camp NaNo. I try every year. Some years I win, some I don't even get close, but I love the commaradarie, the cheering among my NaNo buddies, just the whole idea of dedicating myself to writing. And I really love all they do to support the writing community and young writers. I wish there'd been something like that when I was a kid! I'm not a blogger, so I can't do the 12 days of Nano blog fest, but I'd wish for a better plan before jumping into it! Or maybe an extra day in November! Good luck to all those playing along, and looks like some great book suggestions here as well! After a few years of NaNo, I skipped a few years when life took a hard left. This year, I'll probably try it again though. Congrats to the authors with releases! Wishing you many sales. I don't judge authors by their blogs. I concentrate on writing good stories, though I like to entertain with blog posts. Your blog is awesome because despite the fact that you're published and basically blog royalty, you're a pretty chill individual. Still not sure if I'm doing NaNo this year. Signed up for some webinar classes that should keep me busy. I did sing the the words to the Twelve Days of NaNo. : ) I thought it was cute. Thanks for sharing your thoughts on what constitutes quality blog content. Arlee's post and the comments that followed were quite interesting. I don't care about page views but I do want people to stop by and make my efforts worthwhile. Trouble I have is visiting all the blogs I want to visit. There are so many and I can only fit so many in. I think it's more about visiting which gets peeps to visit me. If I don't visit for whatever reason, I don't get many visitors (well, commenters, I don't look at visitors). Congrats to the three authors! I couldn't even imagine writing 50,000 words in a month! I can barely do that in a year. Where do you get the time? Love the song! Very cute! Yes, it is a very inyeresante to practice writing, did not know! Love the idea for a NaNo anthology. I'll definitely pick up a copy. I don't look at my stats page. I know I could do more with my blog, but I don't have time. Just want to keep my foot in the water and try to keep in touch. Your blog is fun. It's also inspiring, instructive... and family. When I grow up, I want to be a blogger just like you. Well, I'm going to attempt NaNo again this year, but I'm not too sure about the bloghop. I want to do the hop, but at the same time, I get out of breath just thinking about it. JL, that works as well! Rachel, I couldn't vote, but I remember that as well. Jill, that's good to hear. Jaybird, that's how I feel. Elizabeth, doesn't sound like a coincidence to me. And that's better than not knowing what to say at all! Samantha, thank you! I'm still just a guitar geek with a blog. Sherry, if I could do it, I know you could! Krista, you can do it! David, you're welcome. And just jump right in. No Nano for me either. I'd love to actually but I dont think I can hack it with my crazy schedule this month. I love how you spend quality time working on all your blog posts, Alex. And it really does show. Still don't know how you manage, but you're my blogging idol for sure. I keep thinking about doing NaNo. This post is making me seriously consider it. Thanks for allowing me to join your site as a member, and even more thanks for becoming the first person to join mine. This is more than a milestone - it's a miracle. Fanny, it gets easier, promise! Hooray for LD - I was just about to visit her! And Carrie & EJ too. Just downloaded Strength - thanks, Carrie. Good luck w/ the Nanoing, everyone! I had no idea they did so much either - thanks for informing us, JA. Hey Al, you featured a lot of initials today! Love the NaNo song...so much fun. I did NaNo officially a few years ago and unofficially last year. My idea for this year is brewing and I can't wait. Good luck to everyone participating! Man, I should've known the Jaws trivia question!!! Interesting that you don't have Statcounter! You get more comments than any blog I visit! I do use it out of curiosity, but you are right. Community is more important than visits! HI Alex, You are definitely a blogging icon! I don't always comment on blogs that get a lot of comments -not that I don't read them but I don't always feel like I will have something new to add so I don't comment. On my favorite blog WEIT, he posts 5 or more times a day- some posts with more content and some with less- but some get lots of comments and there are arguments, back and forths, etc. It's quite a community which I enjoy lurking around (although I don't always having time for the comments). For my blog, I got caught up for a while in trying to entertain or please readers and it just wasn't me. I just have to post what interests or pleases me, I guess so that I feel that if no one reads it- I'm not bored. I posted on Jack the Ripper the other day and had a fun time digging up some of the info- but didn't get any comments and I did look at stats that time. I don't think I got many hits on it. My Insurance posts have generated quite a few I guess (although not terribly many comments on the 2nd and 3rd posts) but again, I guess it has to interest me or I would get pretty down about the fact that I don't get tons of comments. But then I don't have the time to do the kind of commenting that others do either. I am just staying afloat keeping track of my favorite blogs. Like yours! Cheers! Hi Alex. I'm a big fan of NaNo and will be participating this year for the 5th time. Great fun. Great motivation. I read Arlee's post and I'm with you on page views. They mean little and just frustrate you if you see you've had 700 page views and only 50 commented. It's great to see all the books coming out. Your blog does have something for everyone. I do get a bit frustrated with it as I'm a fan of bloggers with deep discussion on their blogs about writing and publishing etc, but when you're doing what you're doing, trying to appeal to everyone, you can't provide this. I know where to go for such posts. I see yours as a way to catch up on blogging news which is a very valuable service. 1. I am participating in NaNo - always do, pretty much. 2. I generally don't plan my blog content out to a huge degree, but in recent years I've set myself monthly blogging goals, mostly "I want to post one of these posts each month." Next year I will probably loosen things up even more. I guess we'll see, though. My blog "schedule" also changes relatively frequently as I try to find out what's right for me. I doubt I'll ever be getting 5k comments on each post, but nor am I aiming for that. I guess I just want to stay connected with this great community. Good luck to all you Nanos! Congrats to EJ, Carrie & LD! That NaNo song is such fun!! Love The Twelve Days of NaNo. I've never participated in it, but I'm in awe of the people who do and even have publishable stories at the end. Me, I've found I just like visiting your blog and others and having friends stop by mine. Blogging has turned out for me to be a really pleasant way to meet some great people and especially fellow writers online. It's such a supportive community. Although, I'm afraid I ended up in a "firestorm post"! LOL I read Arlee's blog and had to come over and see what was up. I think a lot of great points being made about blogging, from a lot of perspectives. Thank you Alex!!!! I can't thank you enough! Sorry I'm so late. My hubby and I went to Houston at the last minute and we just decided we're going to move there. YAY! Only it's 1,500 miles away and we have three kids, lol. But you're so awesome for helping us. You're the best!! I'm late to the party, playing catch up this week. This topic (started on Lee's blog) amused me a little, because for many of the commenters, "respect" is an important goal. The fact that Blogger exists makes blogging primarily a vanity effort, and I think the idea of "respect" as a blogger is a fruitless pursuit. I would list you and Lee as successes-you both have lots of followers, but followers do not equate to readers. While I am not privy to your page view stats, you both also have lots of commenters. I would say that is a measure of success and respect...I am just not so sure that a blogger can expect more. You example of the blog with 5K comments confirms my thinking. You sound like you enjoy the time you spend on the blog-and I think that should be the whole point! I think I pretty much blog about the same topics. I've been doing so since the beginning of my blog. Reading, writing, and sometimes personal stuff. I'd love to do NaNo, but I'm always in the middle of a manuscript I don't want to abandon. I'm not participating in NaNo, but I did sing along. Too bad my week was so crazy that I'm just now getting to this. What a great post. I totally agree about page views, they don't mean much. If I had 100 comments in a day, I'd be happy, but I think I'm just not there yet. I think it takes time to build that kind of interaction. I currently love my blog the way it is, especially since I just went through the process of transferring most of my content. I think I'm finally getting the hang of this blogging thing. I need to watch more horror movies, the only two I got was The Fly and the Exorcist, and I never even saw the Exorcist all the way through. I'm going to do NaNo! I love your anthology idea - I think that's a great way to give back. I set up two SiteMeter trackers by accident and neither seem to work - they're both showing 0 or 1 visits per week which is obviously (thank goodness!) wrong. I prefer comments and interactions to pageviews any day.